Distilled in 1938 - 80 years ago. 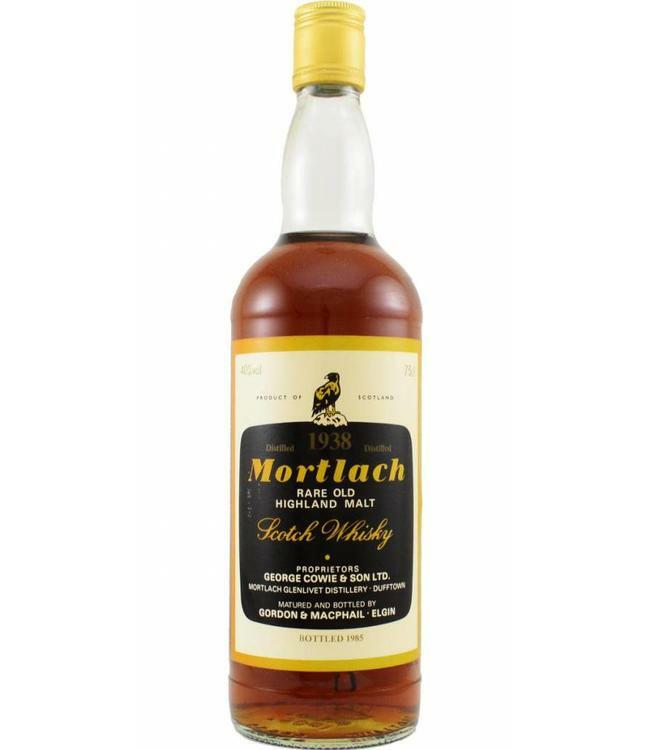 A Mortlach from a bygone area, bottled by Gordon & MacPhail in 1985 making this a 47 year old Whisky distilled pre WW2. Unique and a rare find.